Technology is improving day by day and we are the one enjoying it up fully. Today, we can have every possible thing to make our work the best as well as offer us full convenience and complete peace of mind. Apart from others, talking about Die casting, it is a manufacturing process that can produce geometrically unique and impossible metal parts with the best use of reusable molds, called dies. The die casting process is very important and pros always make sure to use all the necessary things, called- furnace, metal, die casting machine, die and other various materials. The metal which is used here is always non-ferrous alloy, like- Zinc and aluminum, later it is melted in the furnace and then injected into the dies in the die casting machine for producing very complex metal parts. It is always better to approach the right company for aluminum casting parts as they always go with the best and authentic procedures in order to produce something the best. They may use different types of die casting machines, called – hot chamber machines and cold chamber machines for a perfect die casting solution. Hot chamber machines are used for those alloys which have low melting temperatures, such as zinc. And Cold chamber machines are used for those alloys with high melting temperatures, such as aluminum. Both machines work the same and once they are done with the molten metal, they inject the same into the dies, wait for cooling it down and solidify into the final part, called the casting. Aluminum die casting tooling is also known as dies, is here just for alloying the steel. The dies are finished from at least two sections to allow casting elimination. 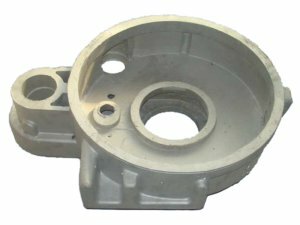 To do so, there is a special need of the efficient approach of die casting and some go with the portable slides, with certain sections that can be done without difficulty to build the ideal shape as demanded by clients from die casters. In the procedure, die casting tooling goes with the simple production of the holes through the predetermined die half. Once we have the molten metal, it is then dispensed into the hole in order to dry in the cavity and this is the best way to get the specific dimensions contoured in the plating. Dies may also have to lock pins, which are utilized in order to stick together two halves and to take away the cast part. Always find the best and reliable service provider for aluminum die casting as well as who can easily manufacture miniature to large precision components using the broad range of zinc die casting, aluminum and magnesium die casting alloys. It is important to know that each and every alloy has unique physical characteristics to match your specific application. However, it is highly necessary to find out the right experts who can help you to meet your requirements by picking up the ideal material to manufacture your precision component. If you are looking for further assistance and help or need customized miniature just connect with the suggested source.